Mark Scott specialises in private and public law claims against the state as well as assisting families whose loved ones have died in custody. Mark has a diverse and high profile caseload of private and public law claims against the police, Home Office, Ministry of Justice and Security Services. He has pursued litigation on behalf of claimants and interveners at all levels of the domestic courts and in the European Court of Human Rights. Mark's cases often involve an international element and he acts for both individuals and non-governmental organisations including charities and campaign groups. Mark's reputation in the field has led to him representing the United Nations Special Rapporteur on Torture and the United Nations Chair-Rapporteur on Arbitrary Detention as interveners in the Supreme Court. He has successfully pursued multi-claimant group actions against various state defendants securing six-figure financial settlements for his clients. Mark has been at the forefront of setting precedents to protect the rights of those in detention. He was instructed on the Court of Appeal case of ID v Home Office which confirms the right of those unlawfully detained under immigration law to pursue civil claims challenging their detention. He has also established that the detention of children in immigration detention centres - where their age was disputed by the authorities - was unlawful. In 2016 Mark was named Liberty's Human Rights Lawyer of the Year for his landmark litigation which has secured safe legal routes to the UK for refugee children and vulnerable adults from Calais and other European cities. Mark is also currently instructed in a number of cases challenging the laws which allow the indiscriminate digital surveillance of innocent citizens across the country by the security services, as first disclosed by Edward Snowden in 2012. He has conducted work on behalf of bereaved families at inquests into deaths in prison, police and immigration custody. Mark has represented the families of Joseph Scoles, Gareth Myatt, presently the only child to have died as a result of restraint in custody and Adam Rickwood the youngest child to have died in custody. He acted for the family of Jimmy Mubenga who died following restraint during his deportation. He has represented families at inquests, in judicial reviews of the Coroners’ rulings on the law and in civil claims for breaches of the Human Rights Act. 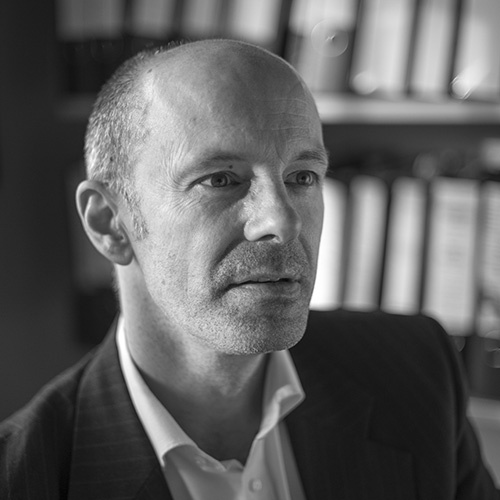 Mark has practised as a solicitor since 1993, initially with the well known and respected firm of Winstanley-Burgess until 1997, then with Stephens-Innocent and BM Birnberg & Co before becoming one of the founders of Bhatt Murphy in October 1998. "an outstanding lawyer who fights hard for his clients." "He is extremely well respected; very active in his litigation work, committed and focused"